The bowl is wheel-thrown. Once leather-hard, I created the holes and trimmed the foot so that air can circulate under and through the bowl when it is on the table or sitting in the saucer. 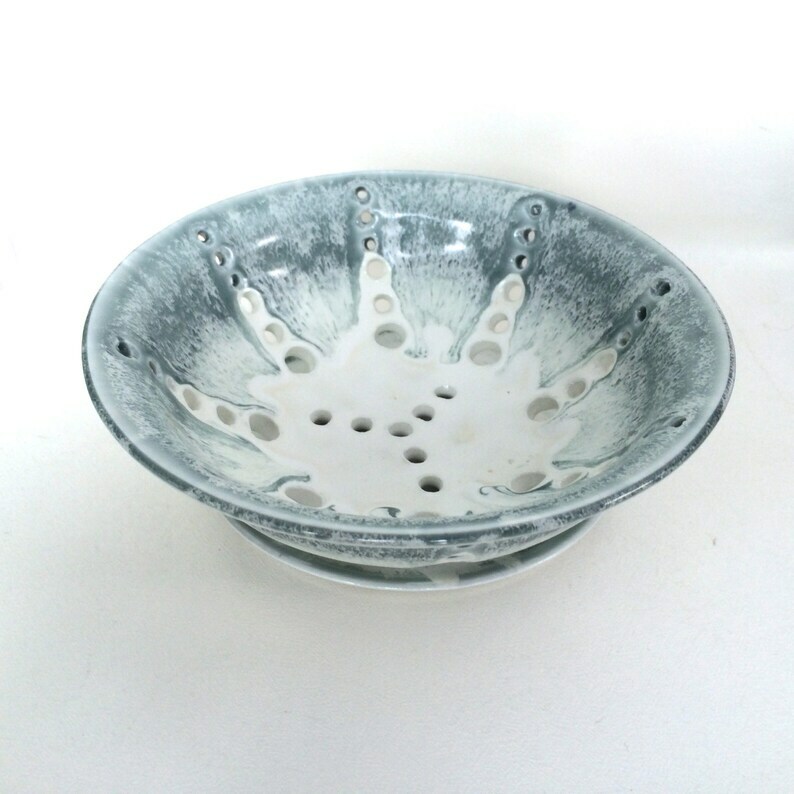 The top of the bowl and saucer have shades of steel blue appearing through a beautiful semi-matte white glaze. Saucer is 5 5/8" wide.